NEW! 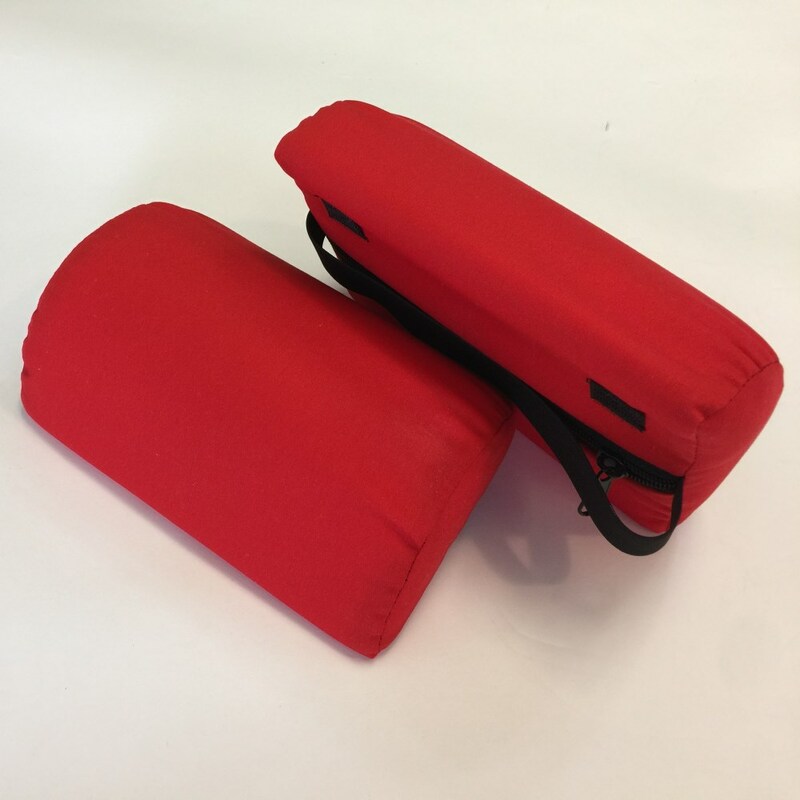 Now with a heavier-duty, durable woven cushion fabric! The Backsmith™ Adjustable Chair Support provides comfortable, firm support where YOU want it, and keeps it there. 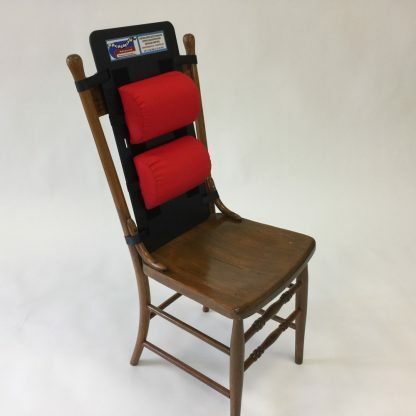 Just attach the backboard to your favorite chair with the included straps, then sit down and adjust the 2 included cushions to the most comfortable position. The heavy-duty hook-and-loop fasteners keep the cushions in place, yet allows you to easily re-position the cushions as needed. 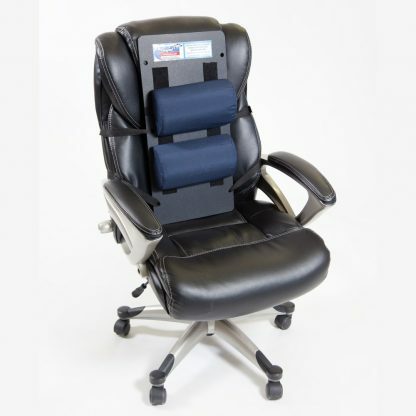 Works on just about any chair or seat, including recliners, straight-back chairs, rockers, office chairs, car seats, and wheelchairs. 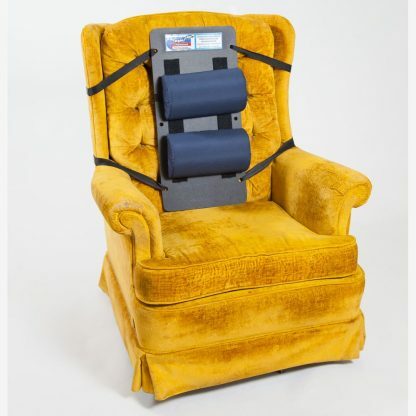 Buy one for each of the chairs you use regularly. Can be removed easily to take with you. (Chairs not included). Thanks to Dr. Smith! He helped me regain strength in my right arm that had been plaguing me for a number of years. I had been told it was tendonitis and that all I could do is live with it by other doctors. I used the chair support to start with. It helped to loosen my middle back up. 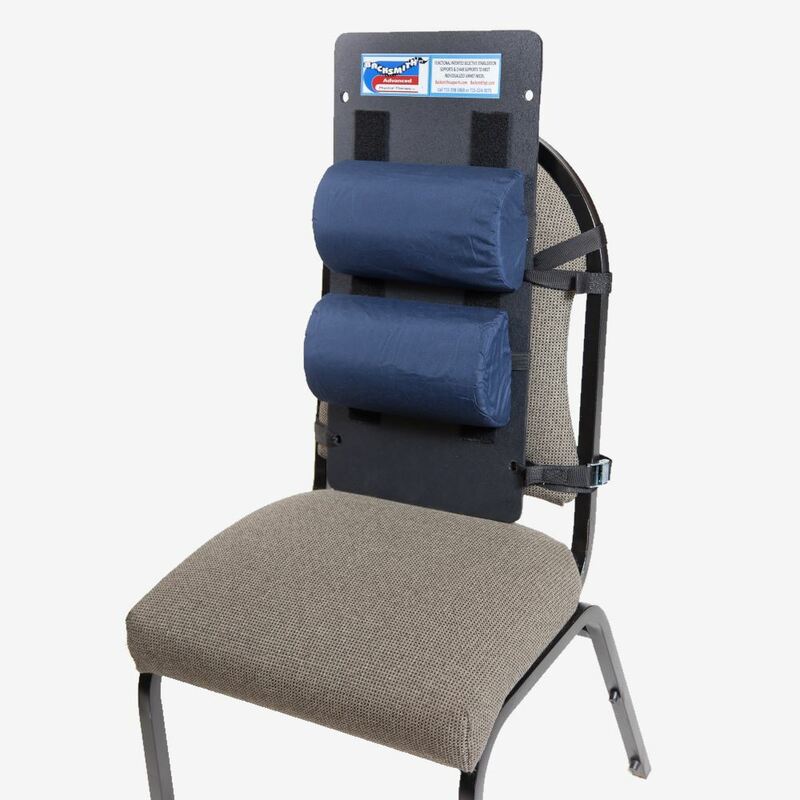 From there I used his back brace to support my middle back, and with some regular use and stretching, my neck, arm and back are feeling great. If you have been told to live with your discomfort and pain, I would highly recommend you pay Dr. Smith a visit! 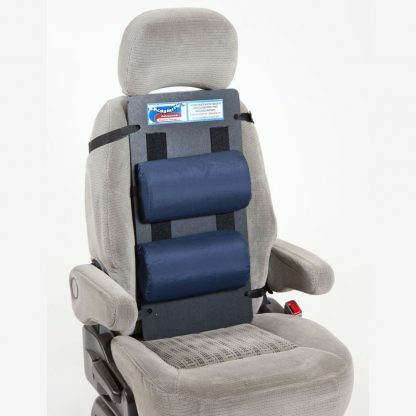 This brace has eliminated all pain when driving! It gives me the support I need and helps my posture immensely! It is well made and durable! I love that I can adjust the cushions to provide support exactly where I need it. The Backsmith Adjustable Chair Support is like no other on the market, because it is a unique device concentrating support for the Thoracic and upper Lumbar spine opposed to the common “ergonomic” supportive devices that provide support for the lower Lumber spine. When I started working with Dr. Smith, I had symptoms including stiff joints, sore muscles, back and neck aches and overall weakness. 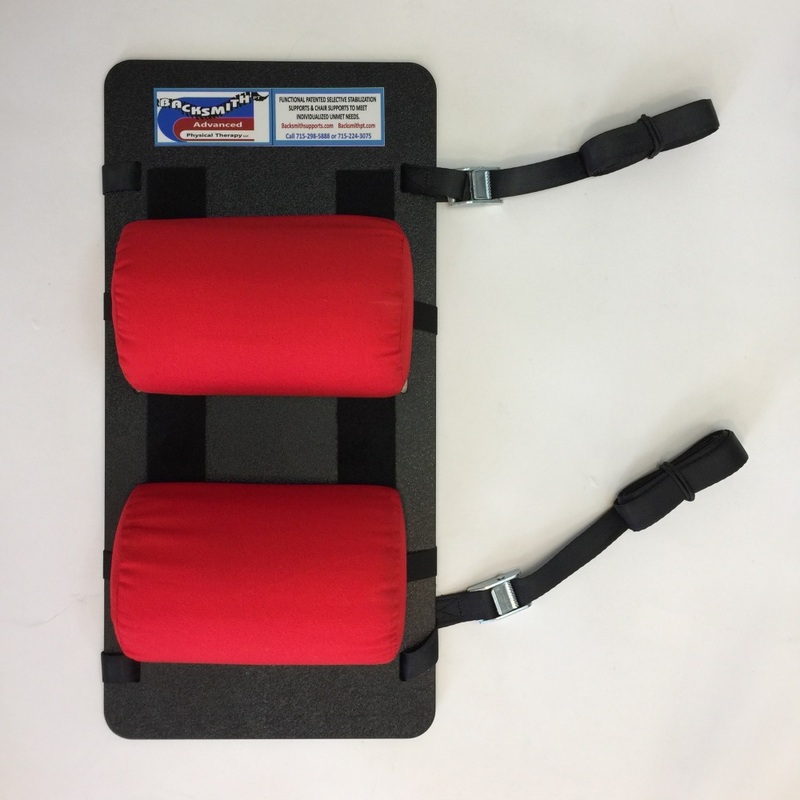 Dr. Smith not only provided physical therapy to advance my stability which in return aided in advancing my movement, he also introduced me to the Backsmith Adjustable Chari Support. My job is very sedentary including long hours in the car followed by long hours behind a computer. 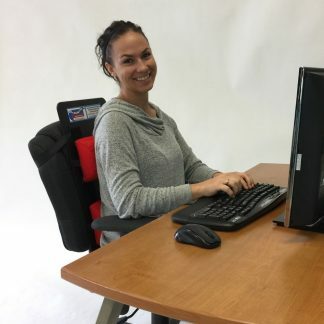 Most car manufactures only provide lower lumbar support in the driver seat configurations as well as ergonomic desk chairs. 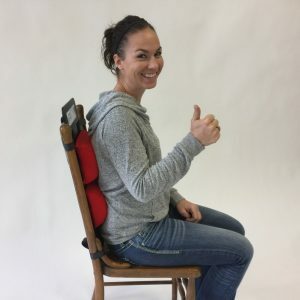 It was obvious from my symptoms that lower lumbar support alone was not providing the support I needed to reduce my symptom and overall pain. The Backsmith Adjustable Chair Support was an immediate game changer to supporting my rather sedentary job tasks. 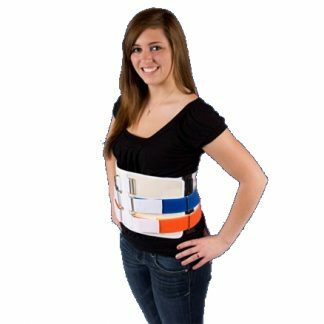 The higher support on the spine (Thoracolumbar Junction) really aided in providing the support I was looking for. 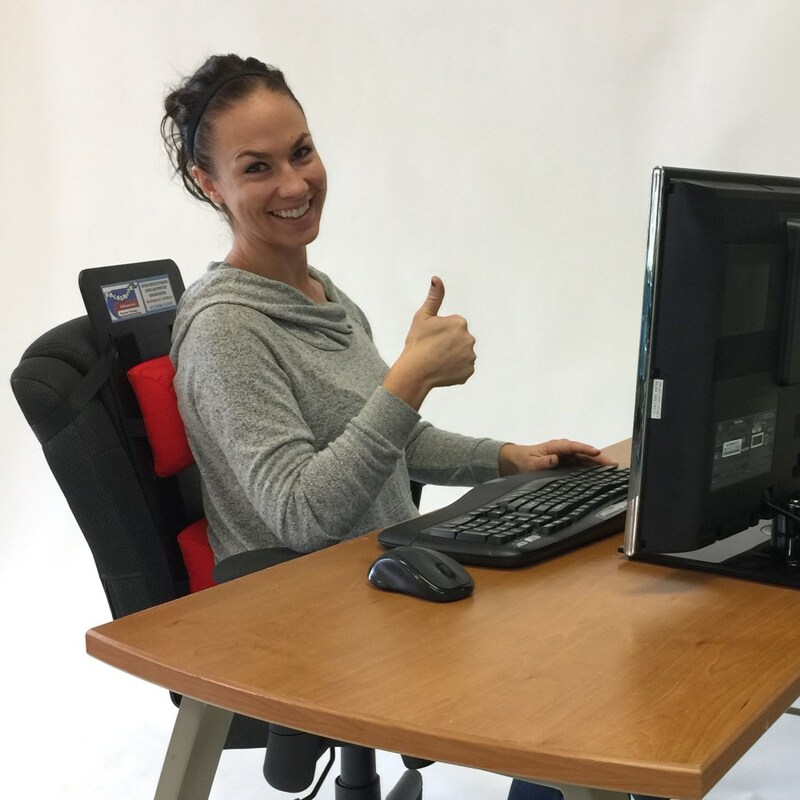 The ease of being able to take the Backmith Adjustable Chair Support from the car to my office chair really sold me and provides a realistic approach to being able to have one product that meets the needs of supporting my back in everyday tasks. 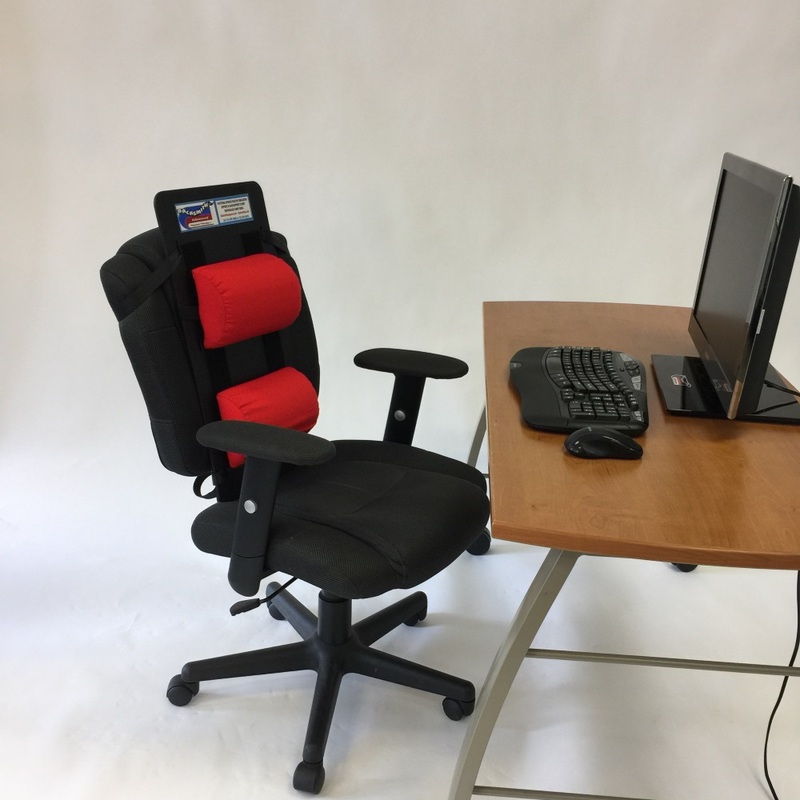 Since using the Backsmith Adjustable Chair Support, I notice I no longer lean forward while driving or typing, my posture has straightened, I feel as if I am in a more neutral position and most importantly, I have reduced or even eliminated many of my prior symptoms due to long hours of sitting. 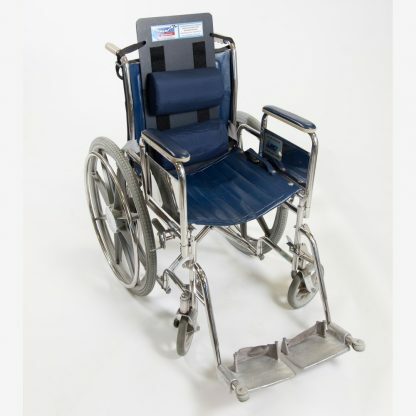 This product really works, it is easy to transition between chairs or automobiles. 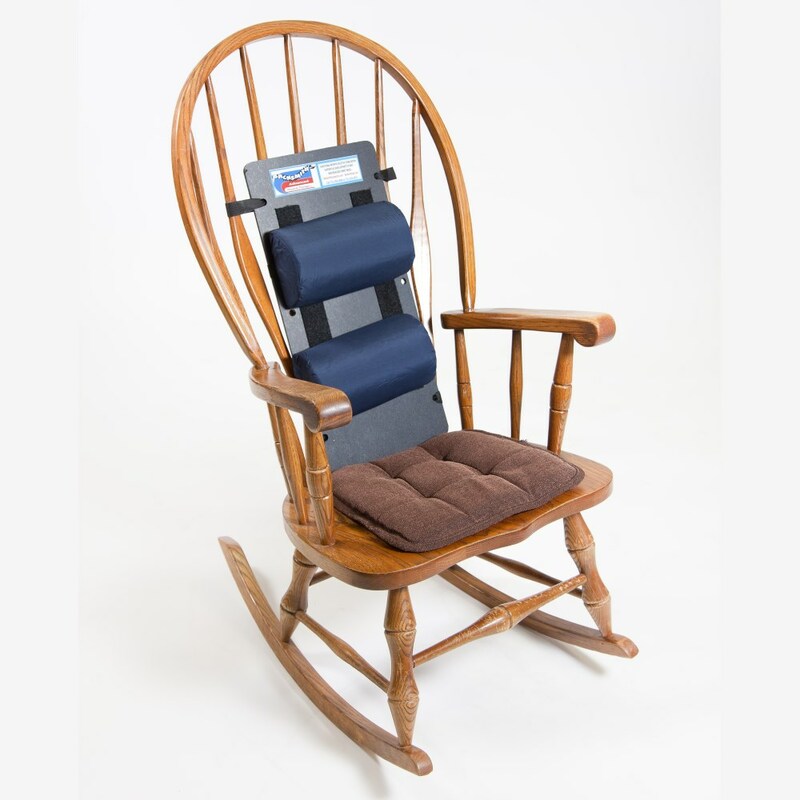 It does feel a little awkward at first, because it supports the areas of the Thoracic and upper Lumbar spine. (versus the lower lumbar area as most “ergonomic” devices on the market do) However, once you feel the difference in support and how it aids in reducing symptoms such as fatigue, stiffness and pain, you’ll never sit for long durations of time without it. Dr. Smith’s back support has truly improved my posture and reduced my sciatic nerve pain. I use it in office where I spend way too much time! It is very durable, well made and easy to clean. Dr. Smith’s innovative and unique spine supports have allowed me to continue performing my job without the chronic pain while improving my strength! I travel on business and typically drive 1,000 miles per week in my company vehicle. The driving was causing issues in my back which would also cause tightness in my neck, shoulders, and legs. 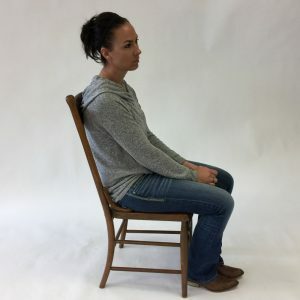 The Backsmith Chair Support, along with walking with the Backsmith Selective Stabilization Support, and routine physical therapy have significantly reduced pain and has improved my quality of life. I highly recommend Dr. Smith’s products and recommendations. I guarantee that if you drive or spend a significant percentage of your day sitting you will benefit as I have. I used to get from sitting long periods. It seems to be well made. several years now. It really seems to work well.